Kaihua Box Heavy Burnt Orange switches utilize a Box Brown slider design with a heavier spring. They offer sharp tactility, but they may not be ideal for users who are sensitive to scratchiness or grainy tactility. Heavy Burnt Oranges have sharp primary tactility. Small secondary and tertiary bumps contribute to a grainy feel that some may find undesirable. In that regard, they are similar to Black Alps. The grain is most present in slower presses. The switches bottom out more gently than most tactile switches, so floating typists looking for lower noise may find Burnt Oranges useful. 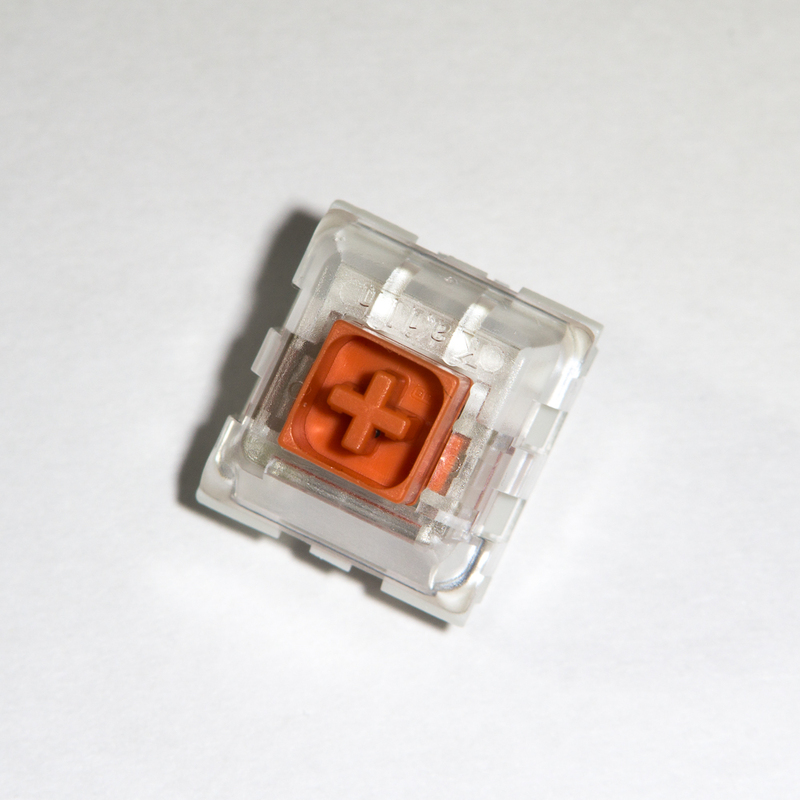 Box Heavy Burnt Orange switches implement all general switch improvements from their series. Per switch drainage, isolated contacts, and reduced stem wobble contribute to a solid platform. Switch sound is affected by contact rasping, though the noise is somewhat obscured by rapid typing.